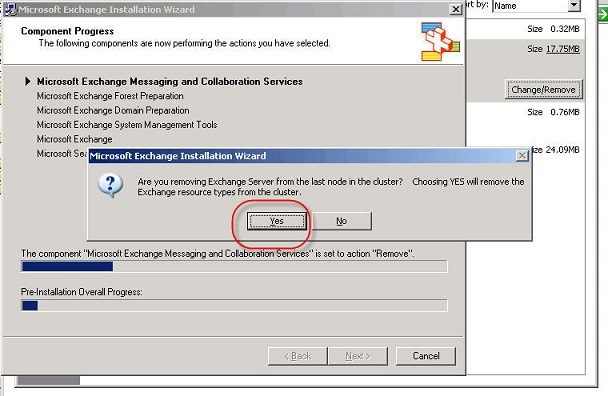 1) Go to the passive node and from add / remove programs remove exchange 2003, when you will be asked if it is the last node you have to answer NO. N.B. You'll need the CD / ISO to uninstall the software. 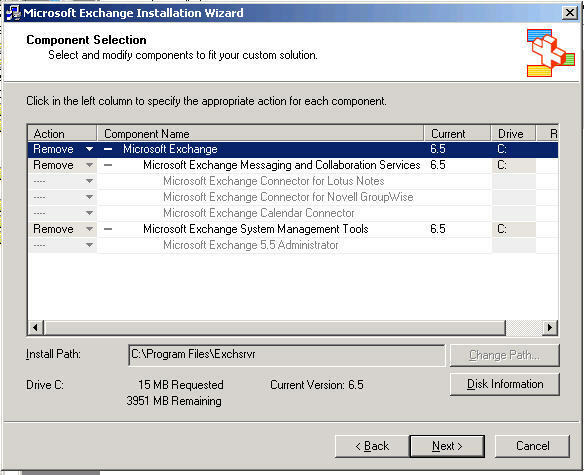 4) From add / remove programms remove Exchange 2003 and when you will be asked if it is the last node you have to answer YES.